For the huge task of feeding people after Hurricane Maria, FEMA tapped an Atlanta entrepreneur with no experience in large-scale disaster relief and at least five canceled government contracts in her past. For this huge task, FEMA tapped Tiffany Brown, an Atlanta entrepreneur with no experience in large-scale disaster relief and at least five canceled government contracts in her past. FEMA awarded her $156 million for the job, and Brown, who is the sole owner and employee of her company, Tribute Contracting, set out to find some help. Four months after Hurricane Maria hit Puerto Rico, a picture is emerging of the contracts awarded in the earliest days of the crisis. And examples like the Tribute contract are causing lawmakers to raise questions about FEMA’s handling of the disaster and whether the agency was adequately prepared to respond. “It appears that the Trump Administration’s response to the hurricanes in Puerto Rico in 2017 suffered from the same flaws as the Bush Administration’s response to Hurricane Katrina in 2005,” wrote Reps. Elijah E. Cummings, D-Md., and Stacey E. Plaskett, the nonvoting Democratic delegate from the U.S. Virgin Islands. In November, The Associated Press found that after Hurricane Maria, FEMA awarded more than $30 million in contracts for emergency tarps and plastic sheeting to a company that never delivered the needed supplies. 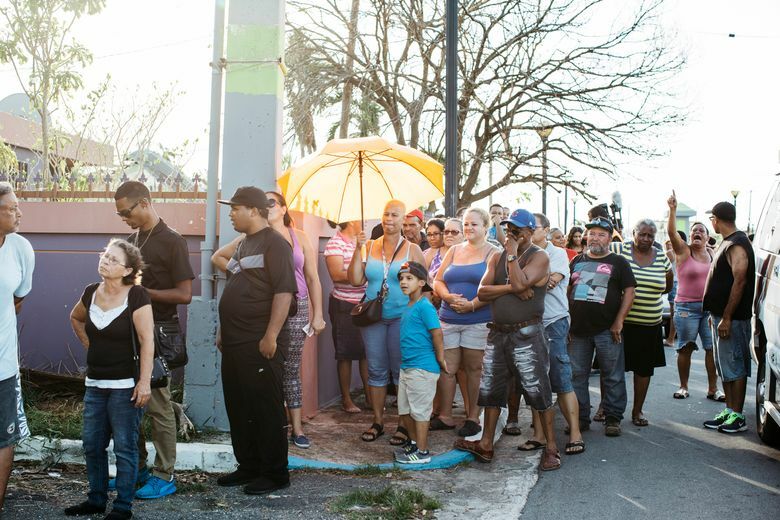 FEMA insists no Puerto Ricans missed a meal as a result of the failed agreement with Tribute. FEMA relied on other suppliers that provided “ample” food and water for distribution, said William Booher, an agency spokesman. Puerto Ricans depended heavily on emergency aid dispatched by FEMA. The Department of Homeland Security has distributed more than $1 billion in contracts related to Hurricane Maria, which made landfall in Puerto Rico on Sept. 20. After Tribute’s failure to provide the meals became clear, FEMA formally terminated the contract for cause, citing Tribute’s late delivery of approved meals. Brown is disputing the termination. On Dec. 22, she filed an appeal, arguing that the real reason FEMA canceled her contract was because the meals were packed separately from the heating pouches, not because of their late delivery. Brown claims the agency did not specify that the meals and heaters had to be together. She is seeking a settlement of at least $70 million. In a statement, FEMA said it would be “inappropriate” to comment on a contract pending an appeal. But the agency noted it continues to provide meals to Puerto Ricans, despite an error by an agency spokesman last week that suggested the emergency aid would stop. Tribute has been awarded dozens of government contracts since 2013, including one in 2015 for $1.2 million in mattresses for the Defense Logistics Agency. Tribute delivered the mattresses, according to the agency. As a result of the botched tote-bag job, the Government Publishing Office banned the award of any contracts over $35,000 to Tribute until January 2019. But that exclusion applied only to that office, not to any other federal agency. Tribute has had three indefinite contracts with FEMA for hygiene kits since 2013, but none of them has been activated. Democrats on the House Oversight Committee say Tribute’s contract history should have given FEMA serious pause about awarding the company a huge food contract.